Set on Maui’s southern coast, Hoapili Trail runs for nearly three miles past rocky beaches, hidden surf spots, and historic Hawaiian village sites. Beginning from the parking lot of Keone‘i‘o—also known as La Perouse Bay—the Hoapili Trail hugs a rugged shoreline that’s covered in fields of jet-black lava from Haleakala’s last eruption (1790). For the first half mile, small patches of white sand are tucked between the rocks, and some are even large enough to fit a couple of beach chairs. Continue further down the trail, and groves of mesquite, or kiawe trees, provide the trail’s only shade, and if you are luck you will get to see wild goats as they clamber across the rocks. In winter, be sure to look out and scan the horizon for breaches, tail slaps, and spouts, as it’s often possible to spot Humpback whales without even leaving the trail. Whales are replaced by waves in summer, and daredevil surfers will hike with their boards for the chance to ride the frothy waves that break in the turquoise waters. Surfing and wildlife sightings aside, it’s the history you’ll find on the Hoapili Trail that makes it a fascinating hike. 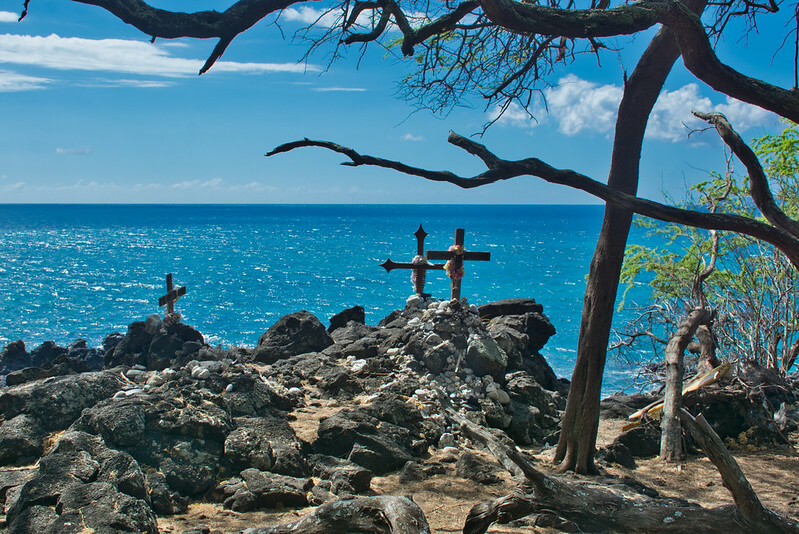 Commissioned in 1824 by Governor Hoapili, the trail connected fishing villages that were scattered along the coast. Though the villages were abandoned in the 19th century, it’s still possible to see relics and remnants of life on the rocky shoreline, from dry stacked walls that once formed homes, to the rocks that form the trail itself and have sat here for 200 years. Image published by Kirt Edblom on 2019-02-06 17:41:06 and used under Creative Commons license.